In addition, Duncan is promoting a book on church unity from his personal webpage by a progressive, social activist and former president of RTS, Dr. Luder G. Whitlock. Executive Director, JMS http://jmsfoundation.org/project.html International social activism network started in 2012 to fulfill the dream of Indian politician Sardar Jagmohan Singh by his son Manu Jagmohan Singh, Secretary General of NRI Institute (http://nriinstitute.in/secretary-general.php). JMS and NRI aim to “create a better world for the underprivileged girl child.” A chief financier of this partnership is Indian-born, British-based business magnate and philanthropist Lord Swraj Paul (https://en.wikipedia.org/wiki/Swraj_Paul,_Baron_Paul), #38 on Britain’s Sunday Times Rich List. Minister at Large, First Presbyterian Church, Orlando https://fpco.org/about committed to “serving the city.” FPCOrlando currently has 18 session members serving through 2020, of which 4 are female elders. The rising session of 2021 is made up of 7 elders (4 are women) and 14 deacons (9 are women). *For the record- “mutual understanding and cooperation” means unity centered around the “common good” or social justice. No gospel here. 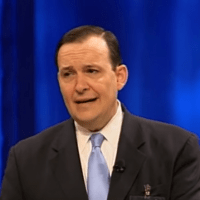 Ligon Duncan continues to promote the ecumenical unity that is essential to the spread of the social gospel – as a board member at The Gospel Coalition, through his influential position at RTS and through associations, conferences and books written by social activists working tirelessly to advance unbiblical unity within the visible church. Be warned and warn others.